Why should the Earth be flat? It is acknowledged by FET through observation that the Sun and Moon and planets are all round. So my question to you then quite simply is why should the Earth be flat? Re: Why should the Earth be flat? Most flat earth answers I've seen regarding this basically say the sun and moon and planets are celestial objects and we can observe them to be round (that's at least what it says in the wiki, not sure how many FE'rs stand by Sandokhan's fringe theories about Jupiter) while the Earth according to FE'rs can't be directly observed. Another argument I've seen is something similar to the Earth is special argument from biology from the whole random chance thing about life on earth. Basically, Earth isn't like other planets. We are smarter than those scientists. Hmm. So Tom Bishop is a Russian spy. That would explain why he is so dedicated. The argument from the biological POV is a little preconceived I feel because we are not saying that Earth is the only place in the Universe where life exists. Only that it is the only place in the Universe where life is known to exist up to now. Thanks to the Kepler Space Telescope we also discovering more and more Earthlike exoplanets which lie well within the habitable zone of their parent star. So there seems little reason to look upon the Earth as 'special' in any way any more. The only non-spherical objects we know about in the Solar System are those asteroids which are not large enough to form a spherical shape. There are certainly no flat, solid bodies that we know of anywhere in the Universe. The nearest thing to anything being flat and circular are the rings of Saturn but these are known to be made up of lots of rocky debris from a failed satellite formation. So putting aside all the evidence for and against for the time being... the question remains about just why should the Earth be flat when no other celestial body we can observe seems to be. Whether life exists on it or not. By the way, does this diagram suggest that flat Earthers believe the Sun orbits the Moon? Surely not! I can understand the argument that earth is special from the religious point of view. I think it’s misguided and not what Scripture is about, but I do understand the thinking. I don’t understand why people with no faith would think there is anything special about earth. Why would there be? Belief does not make something a theory. Recently, sandokhan claimed that the sun, moon, and planets are flat. If the Sun has a discoidal shape, then so must all of the other planets (including Jupiter). While the flat earthers are so quick to bark at the slightest errors in RE posts, they completely ignored this statement by sandokhan, which contradicts the wiki as well as statements made by other flat earthers here. Do you have any evidence of reality? How is that even possible? If the sun and moon were flat, then wouldn't we be able to see an elliptical moon at times, because we'd be looking up at a disc and most of the time we're not directly under it. You can try this at home, look up at your smoke alarm from a little distance and you can see it looks elliptical (I literally did this right now from my desk). Same thing basically goes for the planets because then we wouldn't be able to see them if they weren't above the plane of the flat earth. What "observations" did this Sandokhan chap make? And how many FE'rs here stand by what he says? Here is the ultimate proof: the shape of the Sun is not spherical. Spectacular images of the solar surface have been acquired in recent years, all of which manifest phenomenal structural elements on or near the solar surface. High resolution images acquired by the Swedish Solar Telescope reveal a solar surface in three dimensions filled with structural elements. Beyond the evidence provided by the Swedish Solar Telescope and countless other observations, there was clear Doppler confirmation that the photosphere of the Sun was behaving as a distinct surface. In 1998, Kosovichev and Zharkova published their Nature paper X-ray flare sparks quake inside the Sun. Doppler imaging revealed transverse waves on the surface of the Sun, as reproduced in Figure 2: “We have also detected flare ripples, circular wave packets propagating from the flare and resembling ripples from a pebble, thrown into a pond”. In these images, the “optical illusion” was now acting as a real surface. The ripples were clearly transverse in nature, a phenomenon difficult to explain using a gaseous solar model. Ripples on a pond are characteristic of the liquid or solid state. So what shape is a sun which can be seen as a circular disc from every angle? I can think of a shape which appears to be a disc no matter which angle you look at it from. Oh goody. More from your monologue. The ripples did not exhibit the behaviour consistent with ripples on a liquid surface. But since you're here, are you the only one here that believes the sun, moon, and other celestial bodies are flat? Is the wiki, and every other flat earther here wrong? Uhh Sandokhan, you still haven't addressed my smoke alarm argument. Also, just pointing it out, but one of your images came from NASA/ESA's SOHO telescope, and according to the conspiracy space travel is fake, so by FE logic, the image is fake unless you can show us the real source of the image. So I guess that scraps your point about the ripples, unless I guess you believe some stuff from NASA is good and the stuff showing a round earth is fake. There has already been a discussion on the topic of what FE adherents will accept. Not a direct quote but something like, "NASA doesn't lie about everything, just space travel." So, a very good example of being able to shift the goalposts to whatever you want. FEers can now accept NASA data whenever it suits them. Let's see if this gets moved. I hope not, since I can, if needed go back and quote the original thread that this came from. And it is addressing something in this thread. And what about this image of a sunspot taken near the limb of the visible disk. Shows distinct flattening (as you would get from a spherical surface) caused by the Wilson Effect. I use the term surface rathe loosely as the Sun doesn't have an actual surface like the Earth does. Is the wiki, and every other flat earther here wrong? Yes, they are. They have nothing going for them other than very weak hypotheses (UA accelerator) which can be dismissed in an instant. Space travel under the Dome is real: your SOHO telescope is orbiting at a much lower altitude than that advertised by ESA. You, just like the UAFE, are forgetting about the existence of the ether. Your next statement will be: show me proof of the existence of the ether. I have the formulas, you have nothing. This is a Nobel prize level formula (Michelson was awarded the Nobel for the wrong formula). What is stopping you from disproving it then? I request for you to account for all of these bizarre equivalence principle experiments and coincidences in your aether version of gravity. The bible doesn't even say that the earth is fixed or stationary. I don't know what you are trying to prove. Your UAFE has been disproven, on a daily basis, for the past ten years, but you are not there to listen, you are not paying attention. You are actually a true believer in the INCLINED FLAT EARTH THEORY, since your UAFE plane MUST BE INCLINED at a slight angle, all the time. You must understand that the MMX interferometer = the SGX interferometer, they are equivalent. This much was proven by one of the greatest experts on the Sagnac experiment of the 20th century, E.J. Post. 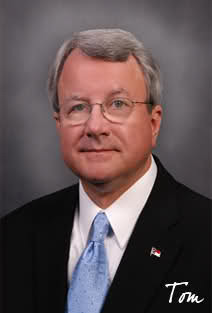 E. J. Post, A joint description of the Michelson Morley and Sagnac experiments. "To avoid possible confusion, it may be remarked that the beam path in the more well-known Michelson-Morley interferometer, which was mounted on a turntable, does not enclose a finite surface area; therefore no fringe shift can be expected as a result of a uniform rotation of the latter". What, then, did Michelson and Morley actually measure? A. Michelson and E. Morley SIMPLY MEASURED THE CORIOLIS EFFECT OF THE ETHER DRIFT. Since they did not use a phase-conjugate mirror or a fiber optic equipment, the Coriolis force effects ("attractive" and "repulsive") upon the light offset each other. The positive (slight deviations) from the null result are due to a residual surface enclosed by the multiple path beam (the Coriolis effect registered by a Sagnac interferometer). Dayton Miller also measured the Coriolis effect of the ether drift in his experiment (Mount Wilson, 1921-1924 and 1925-1926, and Cleveland, 1922-1924). Dr. Patrick Cornille (Advanced Electromagnetism and Vacuum Physics, 2003, pg. 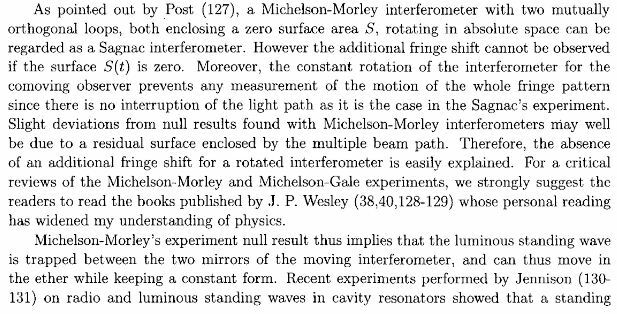 150-157) has provided a thorough examination of the fact that the Michelson-Morley interferometer is actually a Sagnac interferometer with zero area. The technology used in Doug Marrett's vertical Sagnac interferometer is the most advanced so far. It uses a fiber-optic gyroscope (FOG). The experiment detected the CORIOLIS EFFECT, just like Michelson and Gale did. BUT NOT THE SAGNAC EFFECT. The vertical MMX or SGX does not record the SAGNAC EFFECT AT ALL. It is a physical effect, and it is directly proportional to the area of the interferometer. By contrast, the Sagnac effect formula is an electromagnetic effect, and is directly proportional to the velocity. Therefore, all vertical MMX/SGX interferometer only measure the Coriolis effect, but not the Sagnac effect. This means that the Earth does not move in a vertical direction at all. The other question one might ask is at what level curvature is important--if it is circular motion which causes the Sagnac effect as Ashby claims, how much does the path have to deviate from a straight line to cause the effect? At Los Angeles the earth rotates about 27 meters during the nominal 70 millisecond transit time of the signal from satellite to receiver. The deviation of the 27 meter movement from the straight line chord distance is only 35 microns at its largest point. It certainly seems incredible that a 35 micron deviation from a straight line could induce a 27 meter change in the measured range. As a final proof that it is movement of the receiver which is significant--not whether that movement is in a curved or straight line path--a test was run using the highly precise differential carrier phase solution. The reference site was stationary on the earth and assumed to properly apply the Sagnac effect. However, at the remote site the antenna was moved up and down 32 centimeters (at Los Angeles) over an eight second interval. The result of the height movement was that the remote receiver followed a straight line path with respect to the center of the earth. which were unchanged (i.e. a few millimeters). If a straight line path did not need the Sagnac adjustment to the ranges the rms residuals should have increased to multiple meters. This shows again that it is any motion--not just circular motion which causes the Sagnac effect. Therefore, your precious UAFE must have an elliptical orbit, and not a straight vertical path. Moreover, the flat earth will be inclined ALWAYS, as it does not travel upwards in a straight line. How does the UAFE accelerator know where the edge of the universe is located, thus having the capacity to modify its trajectory/eccentricity accordingly? Your explanation for the Pound-Rebka experiment is actually worse than that provided by the RE. Here is the correct explanation. Both Pound and Rebka ASSUMED that the speed of light is constant and not a variable. If the speed of the light pulses in the gravitational field is VARIABLE, then the frequency shift measured by Pound and Rebka is a direct consequence of this variability and there is no gravitational time dilation. For you to defend FET using relativity is beyond belief. TGR/TSR are incompatible with FET. One can also see the role of the equivalence principle by considering a pulse of light emitted over a distance h along the axis of a spaceship in uniform acceleration g in outer space. 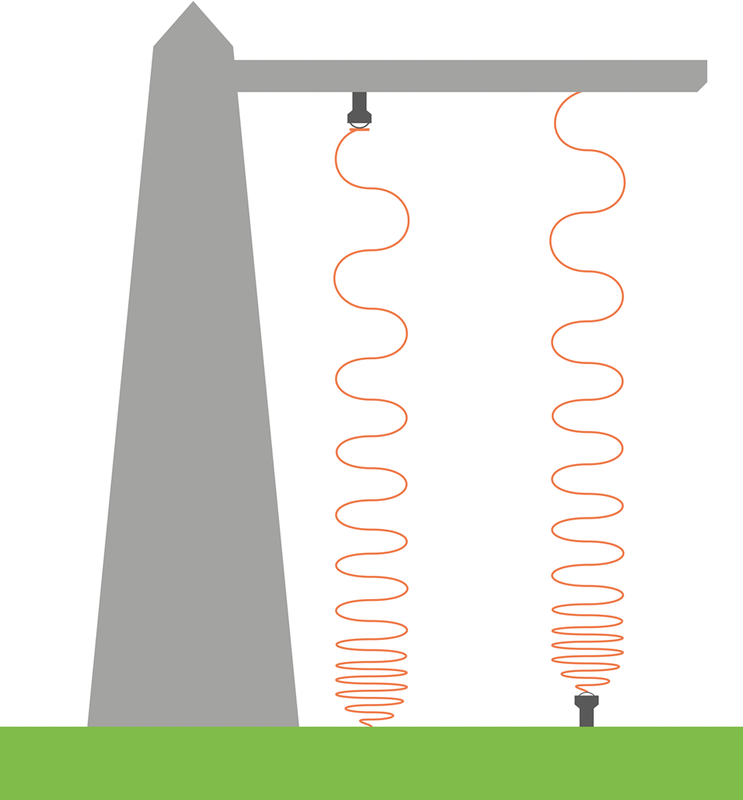 The time taken for the light to reach the detector is t = h (we use units G = c = 1). The difference in velocity of the detector acquired during the light travel time is v = gt = gh, the Doppler shift z in the detected light. This experiment, carried out in the gravity-free environment of a spaceship whose rockets produce an acceleration g, must yield the same result for the energy shift of the photon in a uniform gravitational field f according to the equivalence principle. The Pound-Rebka-Snyder experiments can therefore be regarded as an experimental proof of the equivalence principle. The Pound-Rebka-Snyder experiments are the same 1959 experiment, conducted with an additional researcher, which has been improved and repeated over the years to increasing precision (Archive). Summarily, light will be redshifted or blueshifted when traveling upwards or downwards because "gravity" operates exactly as if the earth were accelerating upwards. When light is traveling downwards from a light source on the ceiling to a detector on the ground, the earth is rising quicker into the photons and will cause a blueshift (its frequency will increase). When light is traveling upwards from the ground to a detector on the ceiling, the detector on the ceiling is moving away from the photons and they will redshift (frequency will decrease). In the Pound–Rebka Experiment when the light suspended on a ceiling travels downwards towards the upwardly moving earth it blueshifts (approaches the detector quicker), and when the light travels away from the earth to the upwardly moving ceiling it redshifts (approaches the detector slower), just as would happen if the building were sitting on an upwardly accelerating earth. Please explain to us how this works in your Aether-is-pushing-you-down version of gravity in plain and simple language. How does it work in your version of gravity? Unless aether is pushing and accelerating the earth upwards, I see no way this can work. The speed of light changes when you point it upwards or downwards, as to have an opposite effect in either direction? I don't understand what you are trying to explain at all. I have just disproven the UAFE using the Sagnac effect: a direct experiment performed by two of the best experts in the world on the subject. Yet, here you are calling upon the Pound-Rebka experiment to try to get something going. Both you and the RE are assuming a constant speed of light. In the ether theory, the shifts are caused by the VARIABLE SPEED OF LIGHT. You are using the modified Heaviside-Lorentz equations, not the original Maxwell equations which are superluminal. Now, did you know that the equivalence principle of Einstein is FALSE? Of course it will change, since the speed of light depends on the density of the layers of ether, which are distributed vertically (and also according to the latitude): that is how you can explain why the lunar ham radio signals take 2.5 seconds using a few thousands of km distance, otherwise your UAFE won't save you. Without the ether theory, you might have something there; however, the ether theory provides a much better explanation for the same phenomenon.